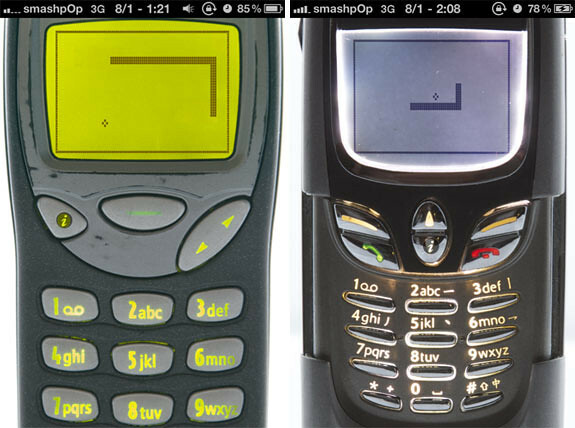 I’m sure many of you have played the classes ‘Snake’ game on your old Nokia phones before. It was like the ‘Angry Birds’ of 1990’s. Back then everyone was competing high scores with each other to see who’s got the longest snake with highest score. Kids were playing with it in the classroom, people were playing with it at the bus stops. Literally the whole world who owns a Nokia phone like the 3210 or 3310 or even the super tiny 8210 were obsessed with the game. Now… if you want to relive that glorious moment of the Snake game, or you just wanna go down memory lane and look back at times when you were young, you can. 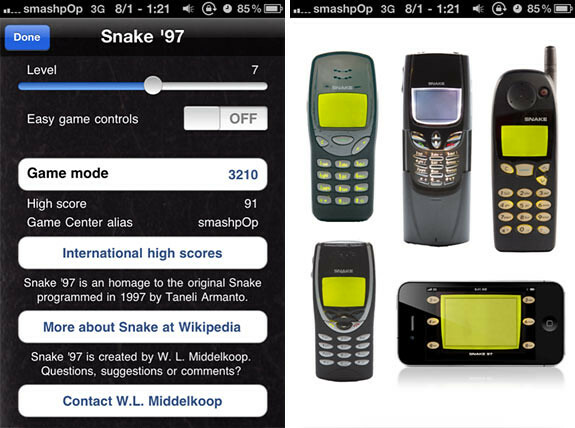 This is “Snake’97” for the iPhone. It’s a great rendition of the classis Nokia ‘Snake’ game and it even uses the usual Nokia phones to simulate playing the game on those old devices. On the screens above you can see I was using the 3210 and 8850 faceplate. haha. Tapping on the ‘i’ button on the old phone interface will bring you to the settings screen. They even proloaded a few more faceplates for users to interchange. So if you are a fan of this game, I suggest you install it cos it’s still THAT ADDICTIVE even after so long. The free version allows a highscore limit of 200 only btw. 3 Responses to "Play 1997 Classic ‘Snake’ Game On The iPhone With Snake’97"